A 6-week course where parents learn how to best interact with their children during play and their daily routines. Workshops include 1 “welcome week” for Katie to get a good idea of your concerns and formulate sessions to best suit you and your family, 4 weeks of content with handouts, references, and additional resources, and 1 week for recap learning and provide future recommendations. Each session will have a “parent learning” portion using Play-Talk-Learn take home materials, clinician/child interaction to see the topics in action, and a parent/child coaching interaction to put what you’ve learned to use! 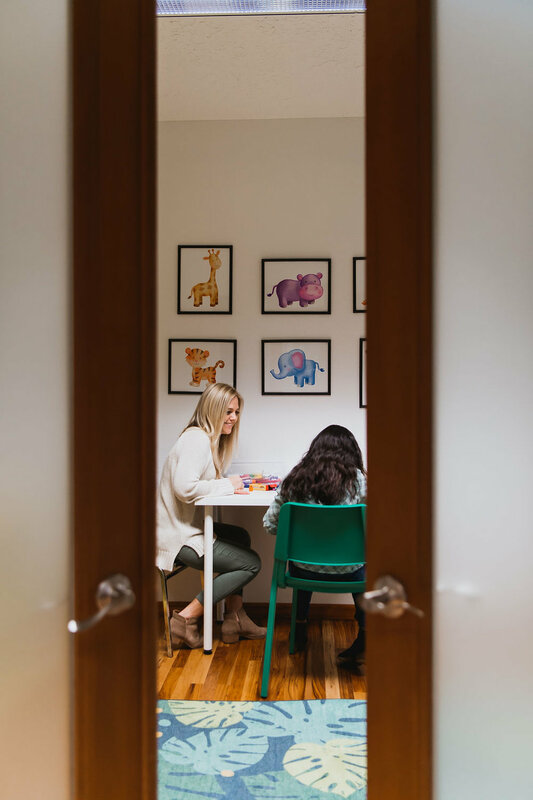 This was designed for families who are concerned with possible speech or language delays in their child, or just want some extra support in providing language rich environments throughout the day. This workshop was built for children receiving services through their school, who will have a break in services over the summer. Bring in a current IEP, IFSP, or 504 plan with speech therapy goals to target in 60-minute treatment sessions. No evaluation needed! Feeling like you’re fresh out of ideas on how to make this season enjoyable and memorable for your kiddos while also keeping your own sanity? Let CommuniKate Speech Therapy do the work for you! Once per quarter we meet for an hour to go over seasonal craft activities, books, and local events to keep you and your family busy. You’ll leave with a “schedule”, directions for easy at home crafts, shopping list, and a resource list of activities happening around the community.